West Middlesex Hospital is celebrating a positive inspection report which found the hospital was meeting all the required standards in quality and care. The unannounced scheduled visit was made in April by the Care Quality Commission. The CQC is the independent regulator of all health and social care services in England. Their job is to make sure that care provided by hospitals, dentists, ambulances, care homes and services in people’s own homes and elsewhere meets government standards of quality and safety. They carried out their review of services as part of a routine schedule of planned reviews. 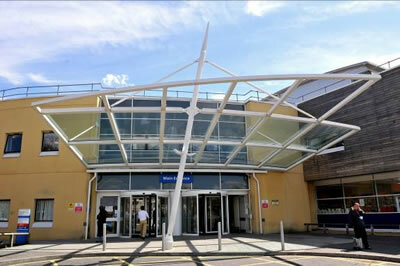 This involved reviewing all the information the CQC hold about the Trust and carrying out a visit on 26 April 2012, where they observed how people were being cared for, talking to staff and speaking to people who use our services. “Everyone we spoke with felt that their privacy and dignity was respected by staff. Patients told us that they were ‘well cared for’ and that they had confidence in the staff. Most people we spoke with felt that their individual needs were met through the treatment and care they received. “Patients and their relatives told us that they were satisfied with the care and treatment they received from staff. One patient told us: From porter to consultant, everyone has been excellent”. Dame Jacqueline Docherty, Chief Executive said: “I am very pleased to report that the Trust met all the essential standards of quality and safety that were inspected. The full report includes some really positive observations from the inspection. www.cqc.org.